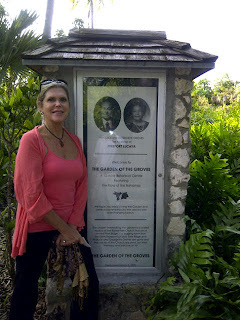 Two weeks ago, The Garden of the Groves in Grand Bahama hosted a book signing for local Bahamian authors—I was invited for my previously published collection of Bahamian short stories, Sand In My Shoes. 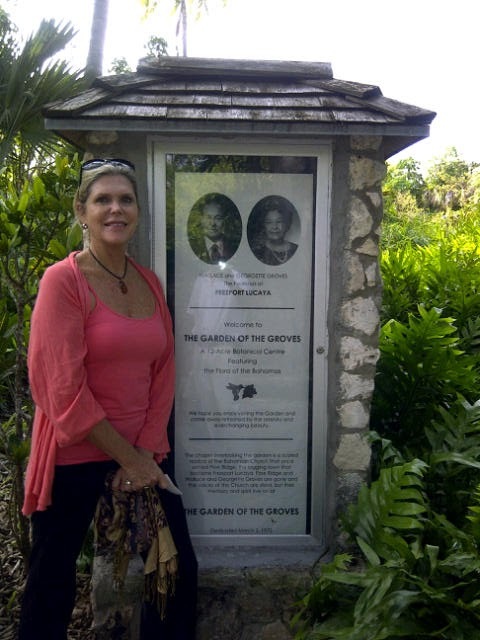 As I entered the luscious, green gardens, I passed by the photographic memorial erected in remembrance of Georgette and Wallace Groves who founded the garden some fifty years ago. I stopped to look at their pictures, touched to see Georgette's name. Most people don't know that my name is Marina Georgette. I was named after Georgette Groves whose husband Wallace was the founder of Freeport and who brought my parents to this island in 1948. As I walked past the meditative labyrinth that graces the garden grounds, I thought about the invisible threads of fate that bind people and draw them to unknown paths. How interesting that one choice made in a fork along life's road can so wholly alter people's destiny. That's how it was with my parents, Ejnar and Owanta Gottlieb. Both of them made choices after losing their homes in World War 2. My father's house was bombed to bits during the Dresden air raid, while my mother's estate in East Prussia was taken over by the Russians. With everything cherished gone, both of them knew they did not want to stay in Germany and re-build their lives on the ashes of genocide and destruction. Theirs is a long story full of hardship, adventure and love (beautifully recounted in my mother's autobiography Angel Stand By Me). But, suffice it to say that they chose to escape Germany by daring to swim across a turbulent and fast moving part of the Rhine River—past shooting guards and police—into Switzerland where they hid in cornfields until they could finally make their way to my grandmother's house in Zurich. 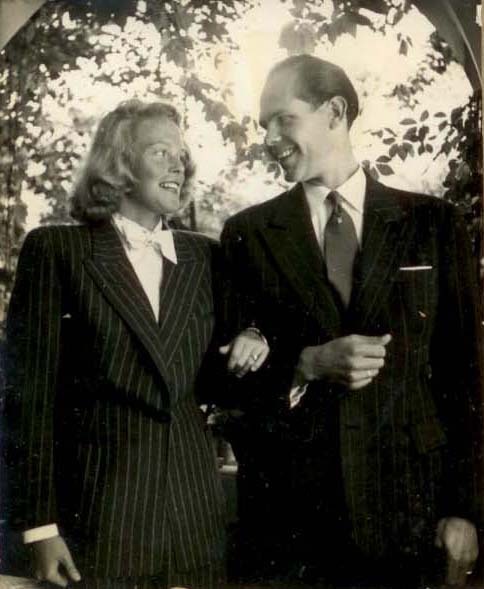 My parents (1946) on their wedding day before they swam the Rhine. Love makes people strong and courageous. Once there, my father, a medical doctor who spoke Swiss German, was able to get a job in a mental asylum while my mother who did not speak Swiss, cleaned the floors, and kept her mouth shut so that the people would not hear her high German accent and hate her because of it. They were both unhappy and wanted to get away. Filling out one application after another they hoped for a job in Australia, Africa or the Philippines, but no one wanted Germans. To the world they were all Nazis. Finally however, a position in a mission hospital in the Philippines opened up. Leaving their work at the mental asylum my parents prepared to emigrate, but their hopes were soon dashed when the Philippine president suddenly died and all work permits for foreign university graduates were cancelled. Depressed, unemployed and broke, their emotional barometers fell to the lowest of lows. My father though, always had a strong optimistic vein. As he still had a few francs in his pocket he decided to spend them on a hot cup of coffee rather than sit around and feel sorry for their circumstances. Unaware that the threads of fate were drawing him to the the coffee shop, he set off. In the street, he bumped into an old friend, a successful businesswoman who owned a paper factory and who seemed to be acquainted with the whole world. The woman presumed that my father was already in the Philippines and surprised to see him so down, she asked him what was going on. He told her briefly of his plight and then waving goodbye, he jokingly said, "If you happen to meet a millionaire who needs a personal doctor, please let me know." The next day the friend called. "Listen," she said. 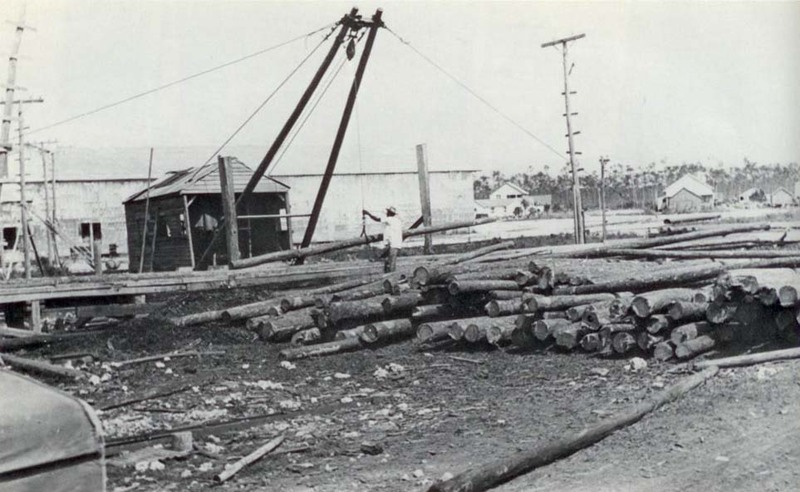 "Last night I was at a banquet for international paper manufacturers. I sat next to a man who is looking for a young doctor to work for an American industrialist. The doctor would have to look after some 800 lumberjacks and their families in a settlement called Pine Ridge on Grand Bahama Island in the Bahamas. Would that be something for you?" 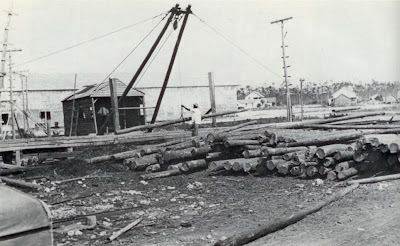 The lumber camp in Pine Ridge, Grand Bahama in the 1940's. 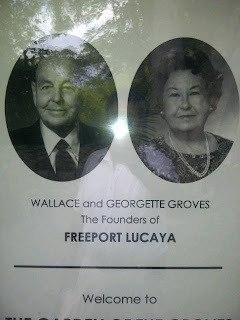 That industrialist was Wallace Groves, (his wife being Georgette—my namesake) and his was the lumber camp that needed a doctor. The rest is history, but what I want to say here is that in a single moment my parents' lives changed. So did the lives of their children, (their son Cay, who was already born, and their unborn children Frederik and me). As I sit here now in the Bahamas by my window looking over the glittering turquoise ocean, I realize that I could just as well be sitting somewhere in Europe looking at the glittering snow. Questions arise in me. Are our lives guided? How much does fate play a part? How is it that the smallest choice to go have a cup of coffee can lead to a totally unknown path and a new world? In the garden beside the Groves' memorial. As an author I have the privilege of writing about fate and its consequences. In my soon-to-be published novel The Last Daughter of Prussia I explore the choices that characters make during a time of war when survival is all that matters. Glimpsing inside their hearts I am able to glean whether they have the faith to sustain themselves in the face of omnipresent terror—a face that looks upon both cowards and heroes and has the power to reverse roles. I think about the coming year, 2012. I wonder what choices will I make? How they will shape my destiny? And sipping my coffee I wonder—where will the threads of fate lead me? 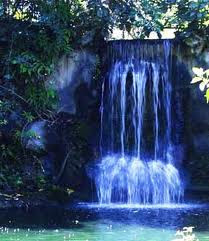 Wishing you all clarity in your choices this year and good luck and faith on your unknown paths. Great story! Amazing how simple choices can make such differences. Loved the retelling of a facinating story. Interesting to read about the Georgette connection. Beautiful story Miks -- I was drawn in the moment I started reading it, wish this post were longer! Beautifully related synopsis, M. It is interesting to look back in history and play the 'what if' game ... what if you're father wasn't as adventurous or, frankly, desperate for an opportunity ... what your life would look like .... would you have met Jamie? Sometimes ... perhaps ... the universe knows what it is doing after all. Amazing story. So happy the "threads of fate" (what a great phrase!) brought your family - and ultimately, you - here! A lucky day for all of us.